Kindergarteners develop their reading and writing skills at different stages. They bring in a range of skills and abilities. Some students might be able to read and write their own names while others might be able to decode some words. Yet other students are able to read chapter books independently. We celebrate their developmental stage while giving them the support they need to continue to grow and emerge as learners. We follow the Handwriting Without Tears program. 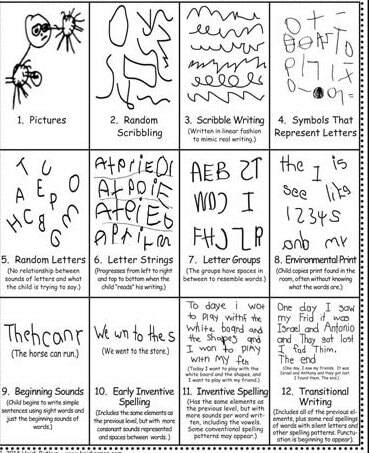 Please follow this link to the Handwriting Without Tears website for a printable Curriculum Overview for kindergarten. You can also visit (and/or subscribe) to the Frog Jump Gazette. This is a helpful newsletter put out by the Handwriting Without Tears program. You can find great handwriting strategies, tips and tools to support your children with this process. You can also visit the Mat Man World. This page offers numerous activities that you are able to download. It also has some fun interactive games that your child can do.